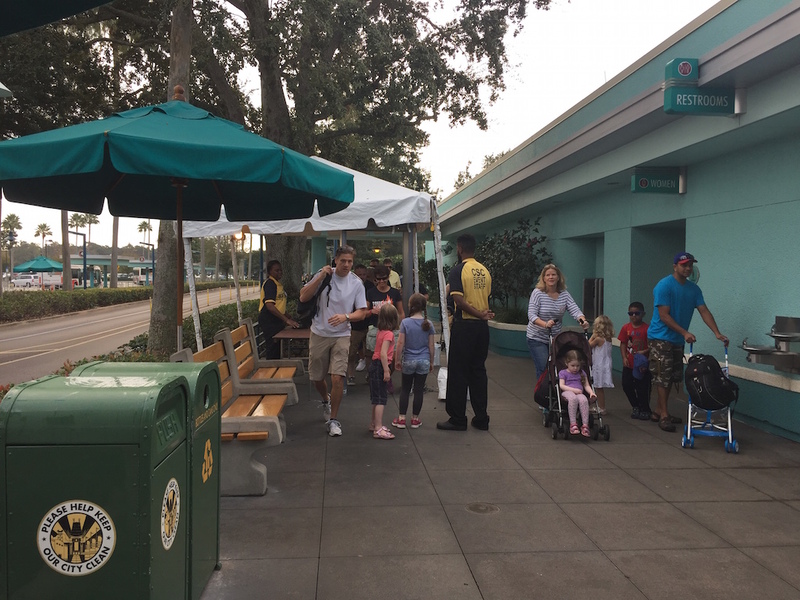 Rumors have been circulating that security at the Walt Disney World parks is going to be tightened; guests in the last week saw extra security outside the parks and even K9 units circling. 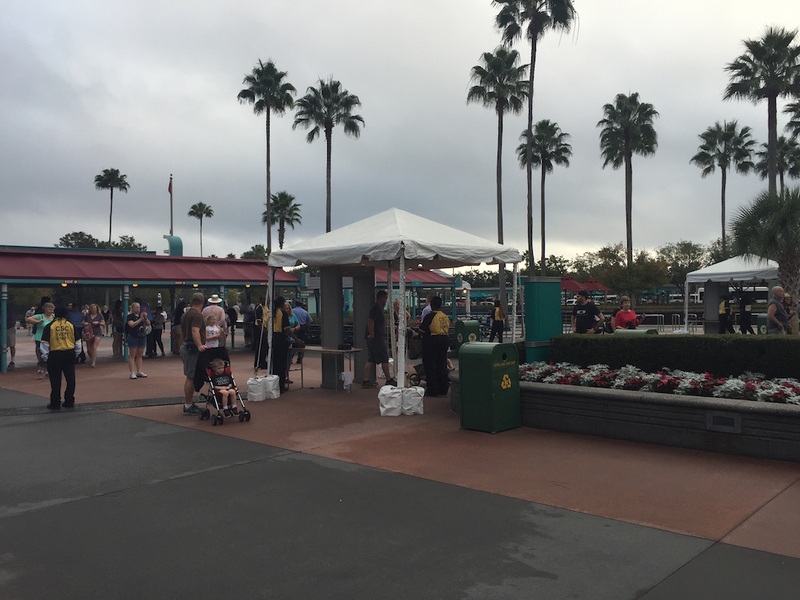 As of this morning, metal detectors have been installed outside the four theme parks. There are three machines in place at the Magic Kingdom, four at Disney’s Hollywood Studios, and two at Disney’s Animal Kingdom. We’re not yet sure how many are in place at Epcot. It doesn’t appear that all guests are being sent through them, but guests are being chosen randomly after they go through bag check. Like at the airports, there are small bowls off to the sides for guests to empty the contents of their pockets. 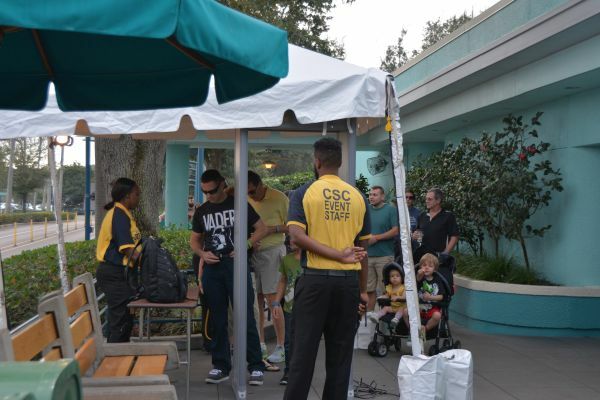 The machines are not being run by Disney security, but by a third-party wearing yellow shirts with “CSC Event Staff” on the back. 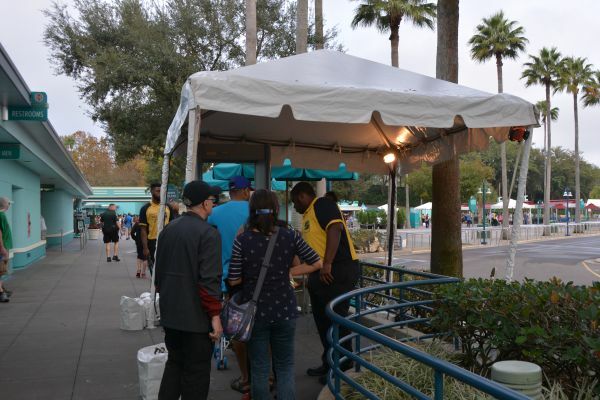 Some other measures that have been put in place: Disney security guards will have wands to do additional scans if needed. 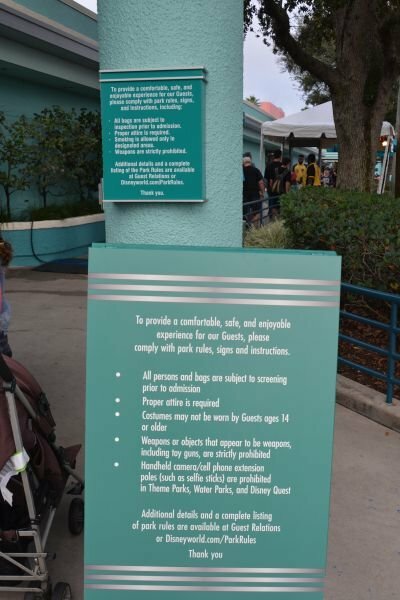 Toy guns will no longer be sold on Disney property and anything resembling a gun cannot be brought into the parks. Costumes will not be allowed for anyone over age 14. 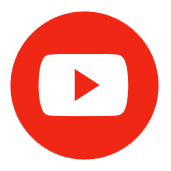 These changes come in light of the recent attacks in Paris and San Bernadino, as well as the man caught trying to bring a gun into the Magic Kingdom last week.